Once you are logged in, please navigate to Orders from Carts page. All the orders synced from your shopping cart will be displayed on this page. Please note, the orders on the page haven’t been booked as Jobs. Go People will compare the addresses with Google Maps and highlight any invalid addresses or addresses that could not be found. Click ‘Invalid Addresses’ tab to filter out all the orders need to be fixed. 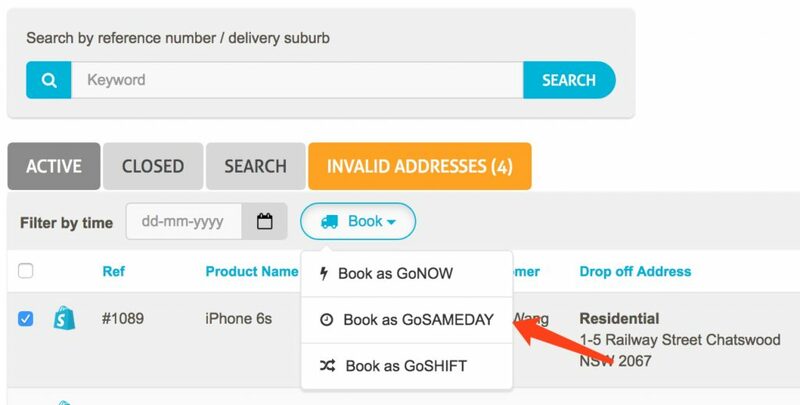 Click the ‘Edit drop off address’ button and enter a accurate address. Once the orders are ready to ship, select them from the order list. Click on ‘Book’ drop-down list, and choose the service you would like to book. 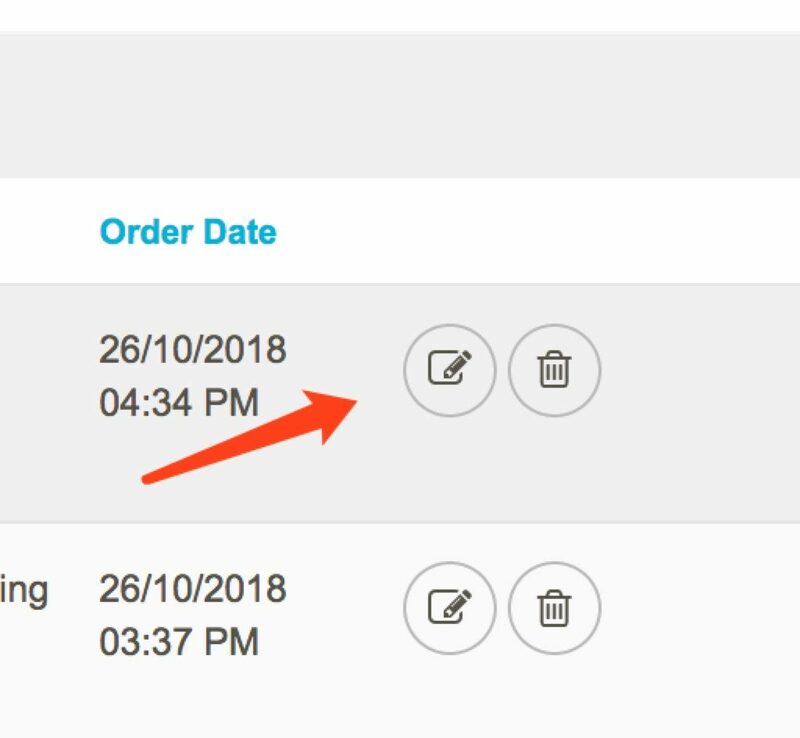 Follow the steps in the popup window and place the orders.